Vampire Diaries night with Dollish Polish, Catrice and Wet in Wild! It's Vampire Diaries night! 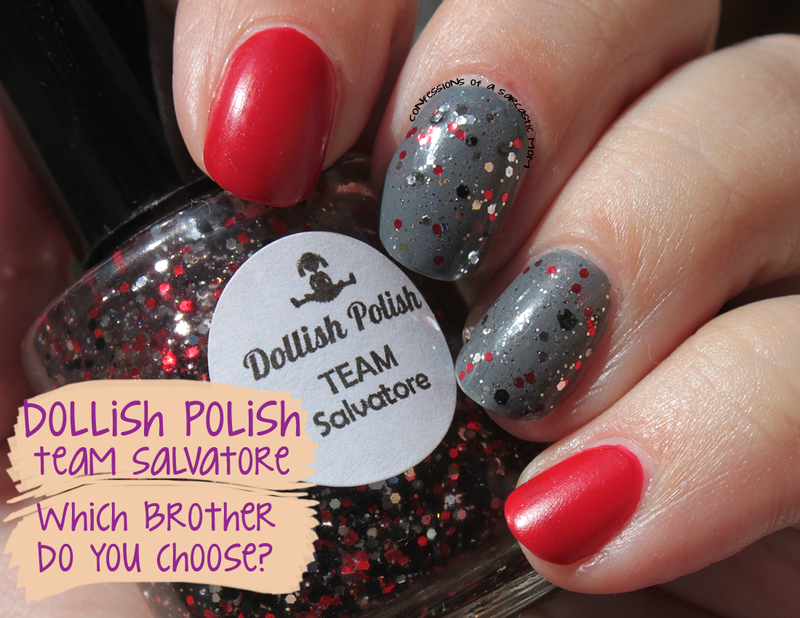 I'm celebrating with a little Dollish Polish Team Salvatore! I've featured this polish already, but I apparently misplaced it. While cleaning a few weeks ago, my husband found it, and much rejoicing was heard (I'm fairly certain I heard an angel or two singing). So I paired it with Catrice London's Weather Forecast (the grey base) and accented it with the new Wet n Wild Megalast Rouge 66, a polish with a waxy matte-esque finish.